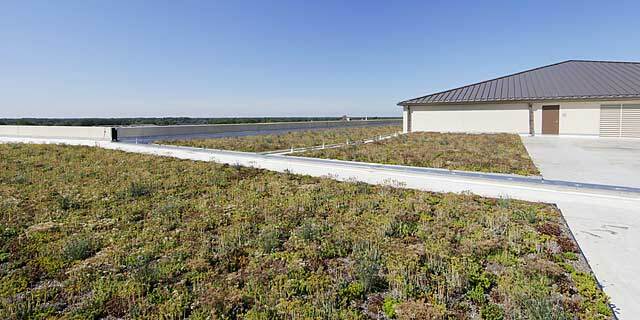 Vegetated roofs are encouraged when they can be sustained with low maintenance, without potable irrigation systems and when they provide energy savings. 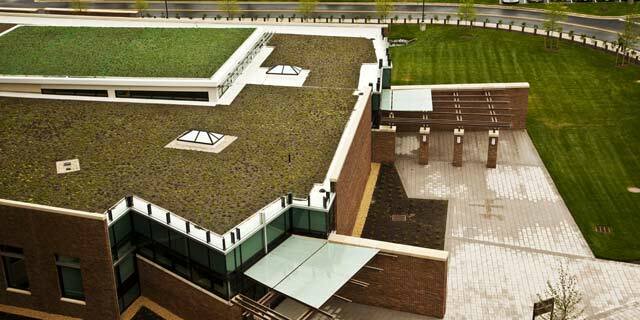 Use of a vegetative roof should include a maintenance contract for unique requirements. 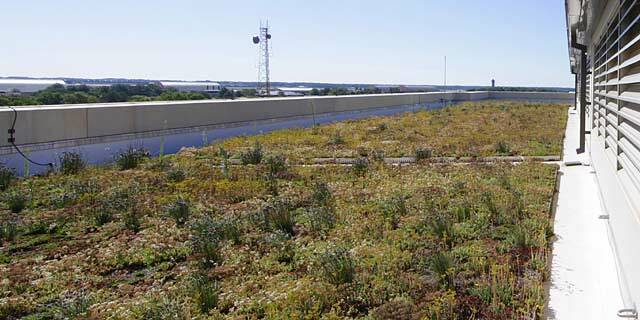 Ensure that a vegetated roof is appropriate for the specific application and climate zone and where justifiable by life-cycle analysis. Provide walking paths and pads for access and maintenance. Do not use vegetative roofs near flightlines.